A devised piece about growing up…or not. And once upon a time we thought we were Peter Pan, too. But things got in the way, and we were forced to leave Neverland. We had to figure out how to turn our childhood games into a clear reality. But it’s not all doom and gloom and trudging from your dead end job to your bed-bug infested rental unit. There’s still magic all around, you just have to know how to look. 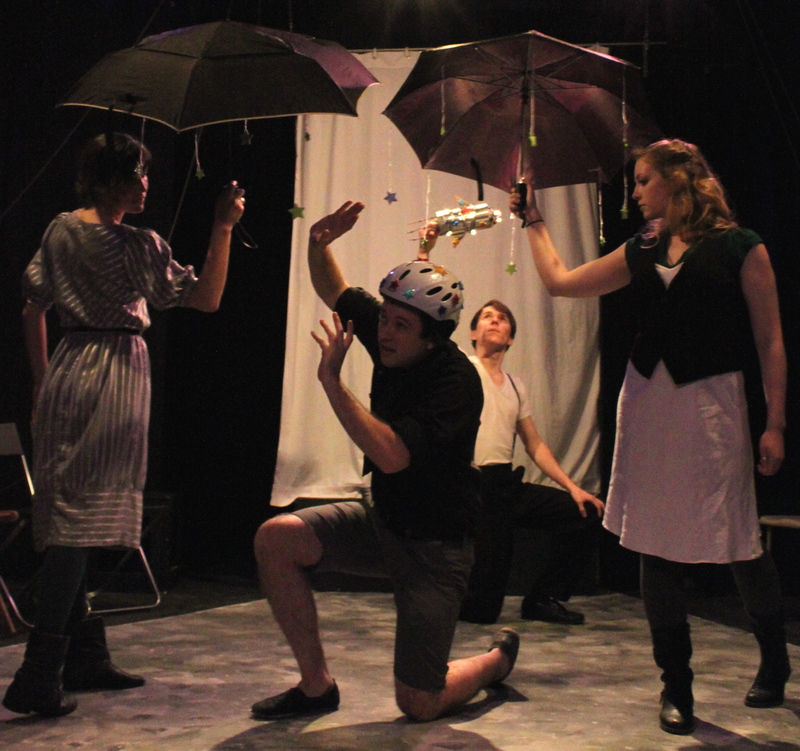 the peter pan project is a fantastical journey through the quagmire that is growing up. Researched, designed, and created by performers Sean Andries, Sara Lynn Herman, Craig Lamm, Alex Leigh Ramirez, and director Ashley Hollingshead.